Home Blog Ready to Renovate? Adding a room, rehabbing a historic house, or updating a kitchen requires a major commitment. It’s an expensive and a disruptive undertaking. Which is not slowing us down one bit. Americans spent more than $340 billion on home improvements in 2015, according to the Joint Center for Housing Studies of Harvard University. And in 2017, homeowners in the Twin Cities spent nearly 17 percent more on improvements than the year before—double-digit growth that is projected to continue. 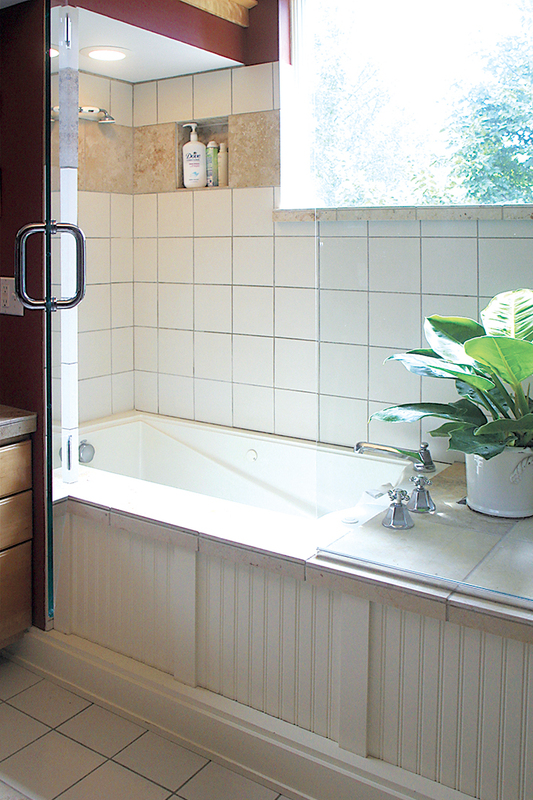 The bath and shower before a remodel in Rocky and Gigi DiGiacomo’s home. 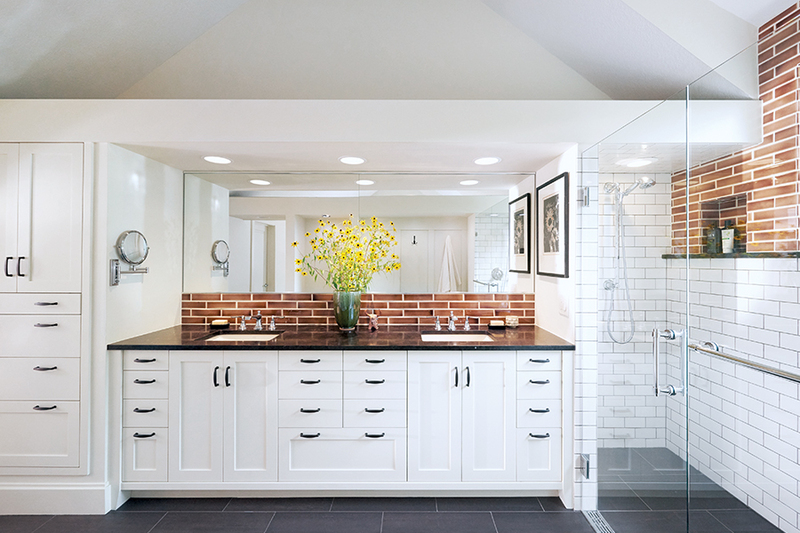 Kitchen and bath remodels, master suite additions—the dream remodels of many—are also the spendiest. Of course, costs vary dramatically, affected not only by the extent of the changes and the finishes selected, but also by the size of the space and the location of the home. Armed with that information, let the planning begin. 1. Inspiration. There’s plenty to go around, from the pages of Midwest Home and mhmag.com/inspiration, to Houzz, Pinterest, Instagram, and more. 2. Set your budget. Always tricky, especially in light of the plentitude of the above (with no price tags attached). The Cost vs. Value Report estimates a major kitchen remodel in Minneapolis costs from $71,040 to $137,924, a bathroom $22,763 to $69,178, and a master suite addition $142,555 to $283,651. In other words, cost varies enormously, depending on the scope of work and material choices. 3. Hire your team. An architect, designer, or builder will help with space planning, material selection, and project management. Interview at least three likely professionals, sharing your initial budget and project scope with each. Both the National Association of Remodelers (nari.org) and the Minnesota chapter (narimn.org) offer more guidance on questions to ask prospective contractors. 4. More decisions… Your team will help you narrow the options, but you’ll be selecting everything from faucet finishes to flooring—literally thousands of decisions. To stay on budget, know where you’re willing to save and where you want to splurge. DiGiacomo Homes & Renovation, Inc.